Google’s new algorithm update targets search result ranking signals and aims to produce more useful, accurate and relevant results for local searches. The Pigeon Update is currently in effect in the USA, but will be implemented across borders, and in Canada soon! The major impact your business might see out of this update are changes in your local search results ranking. The update may cause a sharp increase or drop in your organic traffic and leads, and impact your business bottom line! What does the Google Pigeon Update fix? 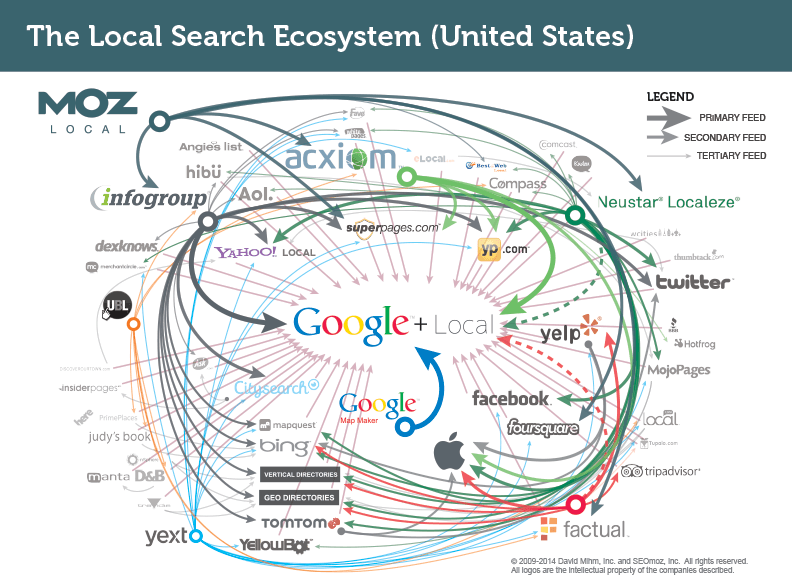 Increased Search Engine Ranking integration with major local directories and review sites, such as Yelp and Yellow Pages. Improved distance and location ranking parameters. Improved Google Knowledge Graph & recognition of keyword synonyms. Increased importance placed on domain authority. Want to Rank 1st on Google? Check out our Small Business SEO Services! Certain databases feed information to other sites and search engines. Having an incorrect or inconsistent business listing in one online database could mean there are also incorrect listings elsewhere. It is important to ensure your business name and phone number (the NAP) are listed in the exact same format across all online business profiles and directories (eg-do not use the abbreviated “St.” in one listing and “Street” in another). These tips will help shield businesses from any negative effect resulting from the Google Pigeon Update and also improve your local search rankings! Research the Local Directories that are ranking for your main keywords, and create a complete business profile on each directory. Fill in all available fields of information, and include images and videos if possible. To get included in Google’s Local Index, create a Google+ Local Business Page, complete all available fields, select the appropriate business category, and verify your ownership of the business. Include hours of operation and locations served as well as relevant images and videos. 3. Take advantage of the Local Carousel Results on Google SERPs. The Local Carousel draws information from Google+ Business Listings and displays the business name, profile image and rating. Encourage happy customers to post reviews on your Google+ business page, and be sure to use a high-quality image for your profile. Include the full business NAP on every page of your website, this is usually done in the footer of each page, as well as all online business profiles on directories. Citations are “mentions” of your business NAP on other webpages, (even when there is no link to your website), and one of the main ways search engines determine rank! More citations from quality websites = higher rankings!